EIR senior editor Jeffrey Steinberg read the following message to the 30th Anniversary conference of the Schiller Institute, from Brigadier General John Johns (ret.). “He’s been an outspoken critic of all the recent wars. He and General Robert Garde wrote a major piece in the New York Times several years back when it looked like we were about to go to war with Iran, and just simply said, do not do it. I would like to extend a deep congratulation for your 30th anniversary meeting in New York on June 15. At this critical time of the history, it is so important that unselfish people work together towards the common welfare of all people on this earth. It is well known from our experience in late 1990s that recovery from an economic crisis triggered by financial crisis requires special subscription. A cleaning of the banking system, with substantial change in management of major banks and with pursuit of responsibility of management, is a precondition of the bail-out of banks and restoration of confidence in the financial system. A fundamental streamlining of the financial system by reintroduction of the Glass-Steagall Act is essential to avoiding repetition of the mistakes made by Wall Street to gamble with depositors’ money. A battle against Wall Street is an urgent task for us, to defend our lives. After restoration of confidence in financial system, a large-scale fiscal stimulus is necessary to create real demand and increase the welfare of whole world. One example is the idea of a new canal at the Kula Narrows in Thailand. Financial resources have to be mobilized for such purposes, rather than gambling by Wall Street. Power has to be brought back to Main Streets from Wall Street. I hope that you will win in the battle soon. 2001: At the invitation of Dr. Sergei Glazyev (right), Duma chairman of the Economic Affairs Committee, Helga and Lyndon LaRouche revisit Moscow. At a hearing before the Duma Economic Affairs Committee on June 29, 2001, LaRouche explained his policy to reorganize the world financial system and a global economic recovery in the context of Eurasian cooperation, in front of 150 members and government advisors. It is a great honor for me to greet and congratulate you on the occasion of the 30th anniversary of the Schiller Institute! Dear colleagues! The Institute has been and will always be a unique platform for dialogue and for the development of important solutions to various aspects of contemporary social, political, and economic development and humanitarian cooperation in the world! Many of your ideas, proposals, and thoughts have found demand, in the development of valuable initiatives of practical significance, in the areas of social justice, the global order, and the prevention of regional conflicts. Besides the solution of strictly practical tasks related to current, day-to-day problems of our mutual development, you also make, on a daily basis, a weighty contribution to the conceptualization and solution of urgent issues of geopolitics and public life. I am certain that your conference today will provide an important impetus to discussions concerning the equality of peoples, regardless of where they live, the sovereign right of peoples to self-determination, and the choice of methods for building a harmonious future, based on peace, cooperation and good-neighborly relations! I wish you fruitful work, dear colleagues, and peace to your houses! “The concert at Boston’s Cathedral of the Holy Cross, in commemoration of the 50th anniversary of the assassination of President John F. Kennedy, sponsored by the Schiller Institute, was one of the most inspiring events that the people of our city have experienced in a long time. People of all social and economic backgrounds turned out for this special event. On behalf of the Officers and Members of the International Association of Machinists and Aerospace Workers, I wish to extend warm greetings and congratulations to the Schiller Institute on the Occasion of its 30th Anniversary. The IAM and the Schiller Institute have long shared a vision for a world built upon progressive concepts and the ideas leading to a better, brighter future for all nations. The application of sound economic principles, such as those contained in the proposed reauthorization of Glass-Steagall legislation, combined with a renewed emphasis on an innovation-driven industrial policy in tandem with rebuilding the global energy distribution network, are the goals that capture the imagination of nations as we collectively seek to build productive, progressive, and sustainable societies. The IAM applauds the Schiller Institute for its monumental efforts to inform, educate, and promote the alternative ideas our entire planet is yearning for. Best wishes to all for a successful 30th Anniversary celebration. This article appeared in the January 24, 2014 issue of Executive Intelligence Review. We post it here with the permission of the publisher. I was Twenty-three years old at the turn of the century. It was a time of brave expectations. Many believed that a new epoch was at hand—that the dawn of the twentieth century would prove to be a turning point in the affairs of men. They cited recent scientific advances and predicted a future of great social progress. The era, they said, was approaching when poverty and hunger would at last disappear. In the way people make fervent resolutions at the start of a new year, the world seemed to be resolving at the start of a new century to undergo a change for the better. Who then foresaw that the coming decades would bring the unimaginable horrors of two world wars, concentration camps, and atomic bombs? Those capable of foresight—and for civilization to survive, the American population must become so capable—will recognize the truth in Casals’ observation. Yet, it is our duty to shape the future, and thus to know it. To paraphrase another slain U.S. President: We are now engaged in a 150 years war, testing whether any nation, so conceived and so dedicated, as is the United States, can long endure. Assassinations against American Presidents, have been the preferred criminal method of choice, for dealing with the problem of the American Cultural Exception. So it was with John Kennedy, his brother Robert, and Dr. Martin Luther King. One year after his October 1962 defiance of that faction of “principalities and powers,” including Britain’s Lord Bertrand Russell, that dared to believe that nuclear war against the Soviet Union was not only conceivable, but winnable (the Cuban Missile crisis), John Kennedy was murdered in Dallas. His assassination, along with that of his brother Robert, and of Martin Luther King, has hung “like a dead hand upon the brain of the living,” until now. Four generations have been unable to shake off their effects. That is because there is only one reliable method for doing so: People must be elevated above and beyond their own pre-selected, limiting self-expectation. People require, not “the facts” of “what really happened,” but the fire of insight needed to reverse our unending national trauma. No preaching, slogans, or imprecations will cause a terrorized people to have courage. Only their own voices, heard as through the mirror of a great artistic performance, can move the despairing to a higher place, a mountaintop where their souls, much to their surprise, actually live. Conductor and Schiller Institute Music Director John Sigerson, in an interview with a reporter from The Pilot, newspaper of the Boston diocese, was asked whether the Schiller Institute believes that “Classical music can create a change in our culture.” Sigerson’s answer to this was “No.” Rather, he asserted, it was the juxtaposition of the “musical” with the “non-musical,” in this case several excerpts of speeches by JFK, heard at precisely selected points in the Requiem, that would allow members of the audience to be provoked to change their minds, and thus hear the music. Sigerson said: “The JFK speeches alone wouldn’t work, and the music alone wouldn’t work. It’s the uncomfortable juxtaposition of the two that works,” this by creating an unexpected cognitive discomfort and tension for the audience. The Schiller Institute has employed for the second time—the first being in Vienna, Va., on Nov. 22, the 50th anniversary of the President’s assassination—the spiritual and therapeutic power of the MozartRequiem to restore the power of cognition to Americans. As Schiller Institute Founder Helga Zepp-LaRouche said in her remarks, such a Classical revival is necessary to inspire Americans to take up Kennedy’s mission again, even as the world currently stands at the edge of thermonuclear war. Master of Ceremonies Matthew Ogden provided a prelude to the music, using a selection of speakers, messages, and quotations to allow everyone in the audience equal access to the depth of meaning contained in the moments they were about to experience, “not in time, but in the Idea,” as Nicholas of Cusa says. For those two and one-half hours, the “virtual reality” brainwashing that accounts for the toleration of a Nietzschean “all is permissible” popular “culture” was interrupted. Those who might have objected that “it’s too long for the audience to concentrate” were once again proven wrong. It was essential that they be prepared to listen, and not merely hear, the Mozart composition. But why? In the words of the German conductor Wilhelm Furtwängler, “As far as music is concerned, there is nothing about which the so-called ‘public’ knows less than about its own mind. Above all, there is one prior condition needful to the listener—whether as an individual or as an audience—if he is to formulate a judgment of real value: and that is, he must have enough time.” This essential pre-condition having been met before a single note was sung, the audience was thus pre-organized to respond at a higher level than it would otherwise have been capable, even with the best musical performance. There was more to the audience preparation, however. This audience was assembled through a thorough, consistent political intervention and fight. This audience recruitment was the result of an intense organizing effort conducted over about six weeks or so. There was a successful “outreach” campaign throughout the Boston metropolitan area. One portion of the audience had come because of ads in theBoston Globe and other news outlets. The Pilot was cited by many as their source of news. Several Boston schools and colleges were represented, along with senior centers and various community organizations. Leaflets and posters were distributed in Chinese, Vietnamese, Spanish, Portuguese, English, and French. Several foreign consulates attended the concert, as well as state representatives from Maine and Rhode Island. There were messages from Michael D. Higgins, President of the Republic of Ireland; Boston City Councilman Steven Murphy; and from Nicholas Di Virgilio, tenor, the only surviving soloist from the 1964 concert (see below for his remarks). Many who attended recalled having been at the 1964 performance: it must be remembered that for the then-largely Catholic Boston, Holy Cross was their local church. Ray Flynn, former Boston Mayor, and later, Ambassador to the Vatican, who had also attended the 1964 performance, expressed the sense of gratitude and true happiness that the citizens of Boston felt for the thoughtfulness that went into ensuring that the historic nature of the occasion did not go unrecognized (see box). The Schiller Institute Chorus, soloists Ron Williams (baritone), William Ferguson (tenor), Heather Gallagher (mezzo-soprano) and Nataly Wickham (soprano), and the largely New England Conservatory of Music-based freelance orchestra constituted for Sunday’s performance, accomplished its primary task: to present the Mozart Requiem as a single, unified Idea. The unity of effect of the performance allowed the words of President Kennedy, the which worked to punctuate and underscore Mozart’s presentation of the idea of immortality, to pose a dialogue about the nature of immortality’s triumph over death with each audience member, as well as the audience as a whole. Maestro Sigerson also noted that the performances of the “Recordare” and “Benedictus” sections of the piece, both set for vocal quartet, were “of a piece” with the entirety, and were delivered with the exact meaning that Mozart intended them to convey. The performance was conducted at a tuning of A=432, nearly a quarter tone lower than most modern performances, and is a standard feature of Schiller Institute musical practice. While this is sometimes referred to as the “lower” tuning, that designation is imprecise. It is the propertuning; it is merely “lower” than what is currently practiced as the wrong, “higher” tuning. The tuning range for music is perhaps more clearly stated as middle C=256 cycles per second, which yields an A=427-432. The C=256 is the tuning at which the Mozart Requiem was composed, designed, and intended to be heard. One of the supporters of the Schiller Institute, conductor Anthony Morss, who has worked with, and conducted experiments demonstrating the reasons for insisting on what is also referred to as, “the Verdi pitch,” supplied an essay that appeared in the concert program intended to provide some background on the matter (see below). The necessity of art—not only its moral, but physical necessity—was stressed in the brief and precise remarks directed to the audience by Schiller Institute founder Helga Zepp-LaRouche. “It is necessary to commemorate the celebration of Mozart’s Requiemwhich was performed for John F. Kennedy, 50 years ago in this cathedral. It is urgent to evoke again the divine spirit of beauty of Mozart’s composition in order to reconnect us with the better world which both Kennedy and Mozart represent,” she said. Zepp-LaRouche insisted, along with the “Poet of Freedom” Friedrich Schiller, after whom the Institute, which celebrates its 30th year in 2014, was named and founded by her, that death is swallowed up in the victory of the power of musical immortality as Mozart, Bach, and Beethoven exemplify, and as the power of the Kennedy Apollo Project also demonstrates. Kennedy’s optimism allowed every American, and, with the successful landing of the human species on the moon, everyone on the planet, to know, by demonstration, that the mind, though contained in a body, is not that body; the mind has no physical limits (see box). Zepp-LaRouche’s reference to “reconnection to a better world” highlighted the inevitable and necessary Ideas that were not merely evoked, but provoked, by the performance. And, it must needs be so: Kennedy’s appreciation for and promotion of the Classical arts and of Classical artists was at the very foundation of his Presidency, though this has been largely ignored in these intervening years. Who, for example, would even today recognize these as the words of JFK, given on the occasion of a commemoration of the poet Robert Frost at Amherst College, October 26, 1963, less than a month before his death? There were some key differences between the 1964 and 2014 performances. In 1964, it was an astonishing step to include the Mozart Requiem in the context of the Catholic Solemn High Requiem Mass ceremony—the first time that that had ever been done in the United States. There was another important difference. In the case of this performance-commemoration, 50 years of erosion of the thinking capacities of the American people, particularly by means of the cacophonous obscenity known as “popular entertainment”—including in the form of the post-2000 American Presidencies—required a uniquely insightful rendering of the music by the performers. It is essential to note, that the chorus was composed of non-professional Schiller Institute singers, many of whom are involved in daily organizing work with both Helga and Lyndon LaRouche. Initially, many Boston-based semi-professional and professional singers had volunteered to be part of the performance, but withdrew because of a campaign denouncing the Schiller Institute, carried out by certain local members of the Democratic Party to intimidate singers. Some refused to listen, and thus “qualified” themselves to participate. Importantly, not only did the local organizers of the event, composed primarily of former members of the LaRouche Youth Movement who were assisted by an experienced and older group of LaRouche Political Action Committee organizers, not attempt to conceal in any way “who they were.” In fact, the organizers insisted that everyone they speak with fully understandwhy it was that only the Schiller Institute, and Lyndon and Helga LaRouche, out of everyone in the United States, had insisted that this 50th anniversary commemoration take place. To answer that question, we pose a seemingly unrelated question, actually identical to the first. 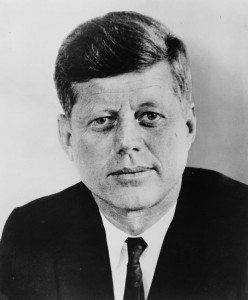 Why was Kennedy, despite his flaws, seen as exceptional by people who were often critical (and sometimes pitiless) judges of human character, such as Charles de Gaulle, Douglas MacArthur, and Eleanor Roosevelt? Posed another way: Why did Kennedy embody for these severe critics of human character, as well as for many “normal Americans,” an efficient deployment of the U.S. Presidency on behalf of furthering the progress, not merely of the United States, but of mankind? The answer to this is posed as follows. Kennedy forecasted his “willed fate” truthfully, and acted accordingly. Despite all the things he did not live to accomplish, in that thousand days, Kennedy managed to save the world from nuclear destruction, and send to, and put the human race on the Moon. The capacity to access the revolutionary principle embedded in the American Constitution and its Declaration of Independence, on which the Lincoln and Kennedy Administrations built their respective commitments and contributions to American progress, has simply not emanated from the Presidency as the guiding policy outlook of any U.S. Administration since Kennedy’s assassination. In fact, today, the opposite commitment now exists, in the form of the Obama Administration, and the predecessor Bush Administration, and must be reversed by an American people made culturally competent to do so. That is the reason that the Schiller Institute was uniquely qualified to propose, organize, and perform the Nov. 22 and Jan. 19 Kennedy remembrances. We refuse to submit to voluntary amnesia. There is a connection between courage and intelligence. Kennedy lived up to his own studies of courage under adversity. None of us can do less. Join Us, Exactly 50 Years Later, In A Commemorative Performance. It is fitting that 50 years later we commemorate the spirit of cultural and economic progress that John F. Kennedy’s leadership represented for America and the world. With this spirit, President Kennedy confronted and sought to overcome the terrifying prospects of global war, poverty, and human degradation that faced our nation and the world during his time. In the intervening years, these existential problems have come to threaten mankind in even greater magnitude, but the national mind that had joyfully embraced the challenge to conquer the Moon, has been supplanted by a spirit that belittles the sacredness of the human individual and the power of human creativity. Wolfgang Amadeus Mozart’s Requiem is a most fitting tribute to John F. Kennedy, as Mozart’s work communicates the same optimism and belief in man’s infinite progress to which President Kennedy dedicated his life. The spark of optimism which marked the Kennedy era, though dimmed, is still present among us because it is embedded in the very fabric of our nation from its founding. Let us honor the memory of John Kennedy by not only reflecting on what was, and what could have been, but on how our culture has changed, and how we must now recommit ourselves to its renewal. The concert will be performed by the Schiller Institute Chorus along with an orchestra and soloists assembled for the occasion by the Schiller Institute. The performance will be at the natural “Verdi tuning” of A=432 Hz. The Schiller Institute was founded in 1984 on the initiative of Helga Zepp-LaRouche, wife of the American statesman and physical economist Lyndon LaRouche, for the purpose of reviving the paradigm of Classical culture and reasserting the right of all humanity to material, moral, and intellectual progress. It is named after Friedrich Schiller, the “Poet of Freedom” whose ”Ode to Joy” is immortalized by Beethoven in his Ninth Symphony. Concert page now published here! The Schiller Institute announced today that it will present “A Remembrance of President John F. Kennedy and Recommitment to the Principles of His Presidency, Featuring a Performance of W.A. Mozart’s Requiem in D minor, K. 626” on Friday, November 22, 8:00 p.m., at St. Mark Catholic Church in Vienna, Virginia. The concert will be performed by the Schiller Institute Chorus along with an orchestra and soloists assembled for the occasion by the Schiller Institute. The performance will be at the natural “Verdi tuning” of A=432 Hz, in keeping with the Schiller Institute’s decades-long campaign to return to the tuning which has been demonstrated to maximize the beauty of the singing voice and of fine musical instruments. Admission is free: first come, first seated. More information can be obtained at: requiemconcert@schillerinstitute.org, or (703) 771-8390. For directions to St. Mark Catholic Church, see http://www.stmark.org/directions/. In its flyer for the concert, the Schiller Institute elaborates on why it is holding this event at this time. November 22, 2013, will mark the 50th anniversary of the assassination of President John F. Kennedy. It is fitting on that solemn occasion to commemorate the spirit of cultural and economic progress with which Kennedy confronted, and sought to overcome, the terrifying prospects of global war, poverty, and human degradation that faced our nation and the world during his time. In the intervening years, these existential problems have come to threaten mankind in even greater magnitude, yet our national spirit of progress has been replaced with cultural pessimism and indifference. The great economic, scientific, and cultural projects begun then have long ago been dismantled, and their memory buried and all but forgotten. The national mind that joyfully embraced the challenge to conquer the Moon has been supplanted by a spirit that belittles the power of human creativity and accepts the inevitability of economic decline. Therefore, to properly honor the memory of John Kennedy, not only must we reflect on what was, and what could have been, but on how our culture has changed, so that we can recommit ourselves to its revival. The spark of optimism which marked the Kennedy era, though dimmed, is still present among us, because it is embedded in the very fabric of our nation from its founding, having its roots in the great Renaissance thinker Nicholas of Cusa, in such works as his Concordantia Catholicaand De Docta Ignorantia. Wolfgang Amadeus Mozart’s Requiem is a most fitting tribute to Kennedy. 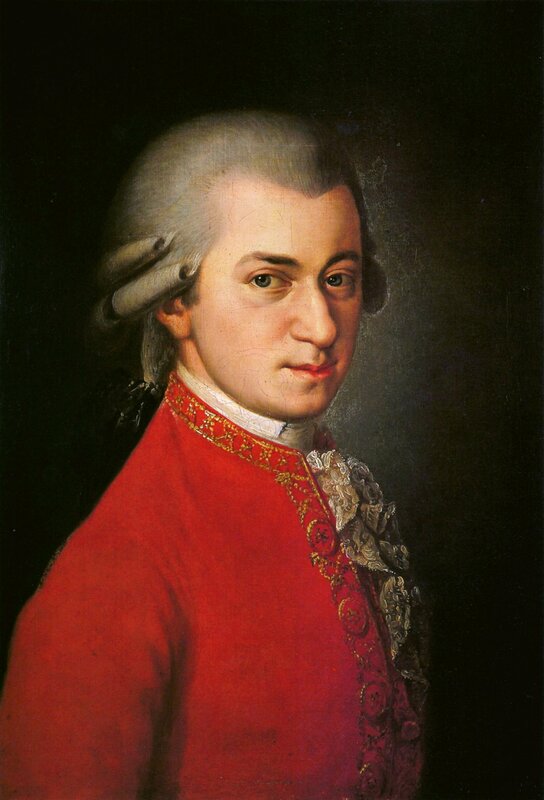 It expresses Mozart’s passion for the concept of Man which he saw, in his time, as forming the basis for the establishment of the American republic, that Kennedy would come to promote and defend, and because the young genius Mozart pitted his creations directly against the same regressive social forces which arranged the assassinations of the President, his brother, and Martin Luther King. An honest performance of Mozart’s work communicates the same optimism and belief in man’s infinite progress to which Kennedy, following in Franklin Roosevelt’s footsteps, dedicated his life, in resolute opposition to those who wish to drastically reduce the world’s population through perpetual warfare and denial of basic needs, and in affirmation of that which distinguishes him uniquely from the beasts, namely his creative capacity to discover new, yet-unthought universal principles. The Schiller Institute was founded in 1984 on the initiative of Helga Zepp-LaRouche, wife of the American statesman and physical economist Lyndon LaRouche, for the purpose of reviving the paradigm of Classical culture and reasserting the right of all humanity to material, moral, and intellectual progress. It is named after Friedrich Schiller, the Poet of Freedom whose Ode to Joy is immortalized by Beethoven in his Ninth Symphony. The institute has sponsored many international conferences devoted to promoting the idea that a dialogue among cultures can only be fruitful when it focuses on each culture’s noblest expression. For more about the Schiller Institute and its activities, seehttp://www.schillerinstitute.org and also http://newparadigm.schillerinstitute.com. Open Letter from Lynn Yen to Classical Artists in the Whole World! Friedrich Schiller once wrote: “it is through Beauty, that one proceeds to Freedom” He speaks not of mere physical beauty, but the deeper beauty of the mind, a mind rendered more beautiful through its ability to both perceive itself, and to articulate its inner, most noble aspirations. This is the gift and the right that we must give to young people all around the world, who are the future of humanity. We owe this to both them, and the poets, of all forms of Art and Science that gave us Classical culture, not as a set of rules, but rather of principles of thought, leading humanity to a better, more productive, happier life. This May 13, 2012, at the Stern Auditorium of Carnegie Hall, a concert was performed by master pianist Tian Jiang. Over 1700 students, parents and teachers from over 80 public schools in the New York City area, most of whom have never been inside of Carnegie Hall, and many who have never heard Classical music, participated in the joy that the mind experiences when the beauty of human emotion and human intellect become one. In a program of Bach, Mozart, Beethoven, Brahms and Chopin, spanning almost two centuries in composition, and almost two and a half hours in performance, there were riveted silence, prolonged applause, and standing ovations from a crowd who the popular opinion of today deems “unable to comprehend or become interested in classical music”. Even two and three-year -old toddlers in the audience listened quietly in attention throughout the entire performance of Mozart’s Fantasy in C minor, Beethoven’s “Appassionata”, and Brahms “Handel Variations”. The Foundation for the Revival of Classical Culture is issuing a call to all Classical and Classically trained musicians around the world, to donate time and to participate together with us, in the performance and teaching of great Classical composition in the strictest of Platonic aesthetics, in the best of Schillerian sentiments, to the youth of the world. Let us, in all major cities of America and beyond, revive the practice of Classical Culture, for the betterment of mankind and for the love we bear our children and all children.